October 7, 2015 – Someone at Neiman Marcus really likes Bourbon, if the annual Christmas Book of high-end luxury gifts is any indication. Bourbon-related experiences have been a regular feature of the Christmas Book over the years, and this year’s catalog features a $125,000 (USD) exclusive experience at Diageo’s Stitzel-Weller Distillery in Louisville featuring the Orphan Barrel Collection of whiskies. The $125,000 package includes a three-night trip to Louisville for six people and the chance to go “barrel hunting” in the Stitzel-Weller warehouses. The group will taste barrel selections (presumably pre-selected by the distillery’s staff) and get the chance to blend two different bespoke Orphan Barrel bottlings. The purchaser will receive 24 bottles of each of the six Orphan Barrel whiskies released so far, along with 24 bottles of each of the two bespoke blends, and the package also includes a handmade whisky cabinet created by local craftsmen from wood salvaged from the Stitzel-Weller warehouses. The six Orphan Barrel whiskies in the package include the Old Blowhard 26-year-old Bourbon, the 20-year-old Lost Prophet, Rhetoric 20 and Rhetoric 21-year-old Bourbons, Barterhouse 20-year-old, and Forged Oak 15-year-old Bourbon. 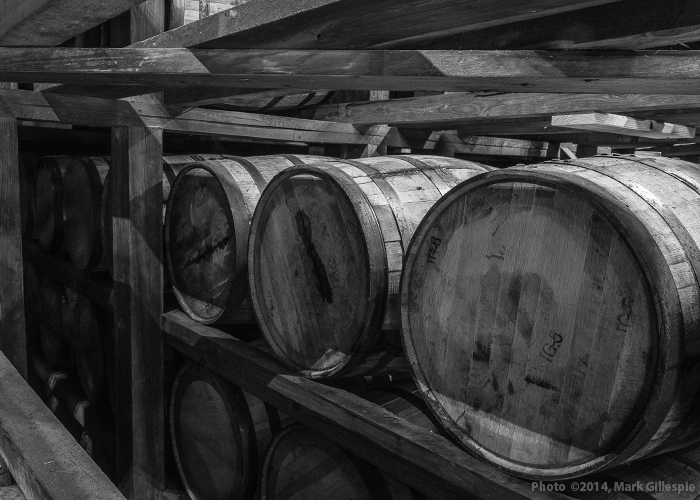 All six were distilled at other Kentucky distilleries, but matured in the warehouses at Stitzel-Weller, which closed in 1992 but continues to serve as a maturation site for Diageo’s range of whiskies. Stitzel-Weller became the site of the Bulleit Frontier Whiskey Experience in 2014 and serves as the “brand home” for both Bulleit Bourbon and the Orphan Barrel whiskies, and distilling resumed at the site earlier this year with the opening of a microdistillery producing around one barrel of whiskey a day.